Tim Lamb from Plymstock was the lucky winner of £10,000 worth of energy efficient, A rated Anglian Home Improvement windows, all in time for the winter freeze, which has already started in most parts of the country. 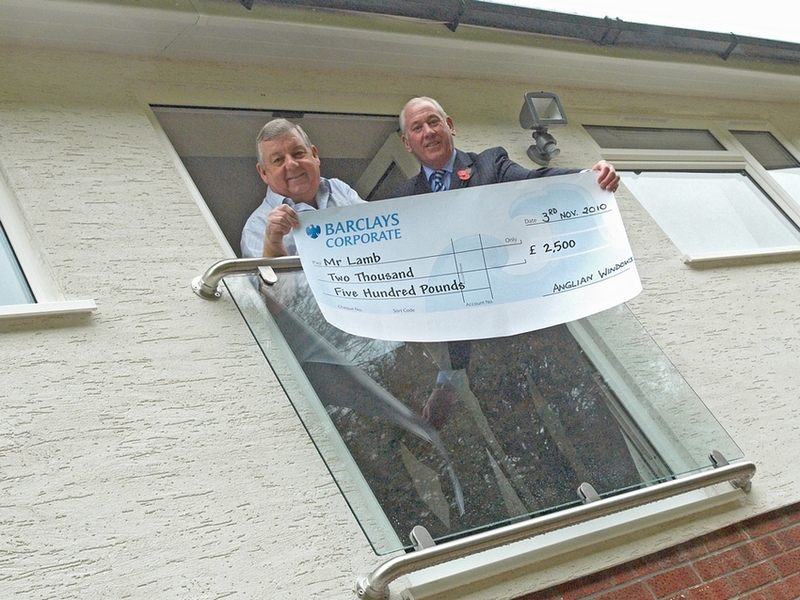 In a recent competition run by Anglian Home Improvements in the Daily Telegraph, not only did Mr Lamb win £10,000 worth of windows, he also received £2,500 cash back for scrapping his old inefficient windows for the Anglian run Window Scrappage Scheme. Tim was over the moon with his installation he won. “We had just begun building an extension when I found out we had won £10,000 of Anglian windows so the timing couldn’t have been better! We are thrilled with the product and were really impressed that Anglian took away our old double glazing under the scrappage scheme and gave us £2,500 in return”. “Our house was a bit of a mix match of various types of glazing bought over the years so it has really transformed the overall appearance of the property having the same windows throughout. We are really pleased with the final results and the cash back from the scrappage scheme has certainly helped”. I’m pleased that Mr Lamb is delighted with his new Anglian Home Improvements installation and that he took full advantage of the Anglian Window Scrappage Scheme. Anglian Home Improvements is the UK’s leading home improvements company, with more than 40 years’ experience. For more information on our energy efficient windows visit our website.